The seven planetery angels are depicted within the enamel of the pendant, corresponding with the reverse side inscribed with their respective names, planets and days. 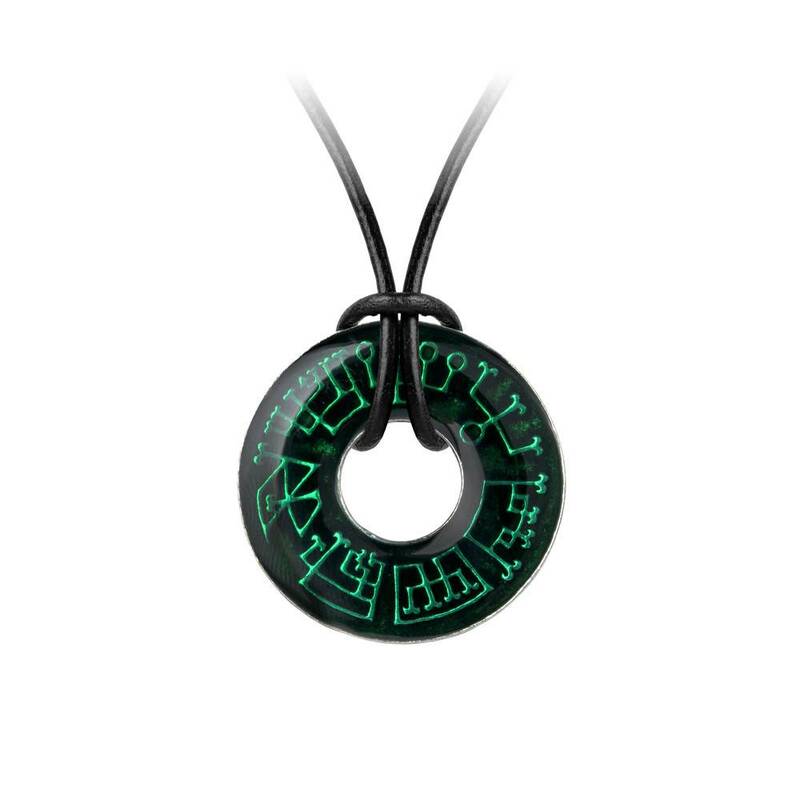 This pendant is tied 'round with a leather cord, including a circle and bar closure that can be adjusted to your preference. The table below shows the details of the inscriptions on the front and back of the pendant. Approximate Dimensions: Width 1.34" x Height 1.34" x Depth 0.35"
Cord Length: Adjustable Leather Cord up to 30"